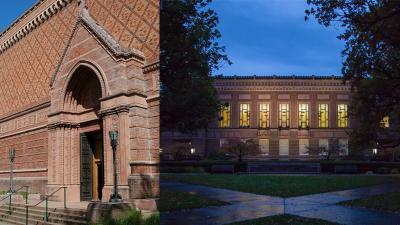 The UO Libraries and the Jordan Schnitzer Museum of Art (JSMA) invite UO faculty to submit proposals for projects aligning with a Mellon Foundation initiative intended to increase the use of museum/library assets in teaching, learning, and research. Grantees will be appointed as Mellon Faculty Fellows for the duration of the initiative (until late 2020) and will be eligible for funds totaling up to $11,000 to support teaching buyouts and/or other acceptable expenses related to their research, scholarship, and/or teaching projects. We welcome research proposals on a wide range of topics relevant to JSMA/Libraries collections and services, and from faculty associated with a variety of disciplines. This call for proposals will remain open until the deadline of Saturday, December 1, 2018, end of day. Proposals will be reviewed by the grant co-PIs, Jill Hartz, Executive Director of the JSMA, and Adriene Lim, Dean of Libraries and Philip H. Knight Chair, according to the above competitive guidelines. Grant awards will be offered to three faculty members for 2019-2020, who will form the second and final cohort of Mellon Faculty Fellows associated with this initiative. In accepting a grant, the faculty member agrees to meet regularly with the project team, complete interim and final reports, as requested, and give a public presentation of the project. To learn more about JSMA/UO Libraries goals and priorities regarding their collections and expertise, please send inquiries to Jenny Kreiger, Mellon Postdoctoral Scholar, at jkreiger@uoregon.edu. The University of Oregon was awarded a $300,000 grant from The Andrew W. Mellon Foundation to support enhanced collaboration among campus libraries and museums and to encourage increased use of library/museum assets in research, teaching, and learning. The award funds a program led by the UO Libraries and the Jordan Schnitzer Museum of Art (JSMA) that will issue six Mellon Fellowship Grants to UO faculty throughout the initiative’s three-year duration and will provide integrated library/museum education and support services to develop and realize the Fellows’ projects. Three Mellon Fellows were chosen for 2018-2019, and three more will be selected for 2019-2020. The program will use Mellon funding to provide incentives and direct support for UO faculty members who want to collaborate with the JSMA and the Libraries to incorporate library/museum assets into their teaching and research. Projects may include but are not limited to the development and use of new learning objects, exhibitions, research publications, and digital scholarship projects, focusing on collections, relevant expertise, and strategic priorities that span both organizations. Projects may result in new or revised courses, research papers, lectures and symposia, and exhibitions on site and/or digital. Each faculty project will be coordinated by the Mellon Postdoctoral Fellow, which is a first joint position of the JSMA and UO Libraries, and two Graduate Employees. Other JSMA/Libraries staff may also be assigned to work with Mellon Faculty Fellows to complete the grant-related projects.